Andrew Rosenbaum '20 has been selected as an All-American for the 2018-2019 Allstate All-America program. From the nearly 800,000 soccer players across the country, Andrew is one of 150 high school juniors who have been selected for their outstanding achievements in soccer. Now through 2019, Allstate will be celebrating these talented young athletes as future game changers of the sport. 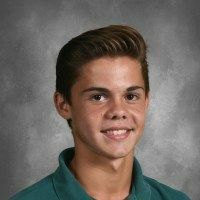 This year, Andrew helped lead the Archmere soccer team to a very successful 13-2 season, the Diamond State Athletic Conference Championship Title, and the semifinal game of the State Tournament. Andrew earned the 2018 Top XI Delaware Boys Soccer Player of the Year honor, in voting conducted by the Delaware High School Soccer Coaches Association, and was named to the 2018 Delaware Boys Soccer First Team All-State. From the All American group, Allstate will later select 40 girls and 40 boys to compete in a girls game and boys game during the MLS All-Star break in Orlando, with games televised on ESPN-U. Former Major League Soccer and U.S. men's national team members, Taylor Twellman and Brian McBride, will join former U.S. women's national soccer team standouts and Olympic gold medalists, Julie Foudy and Brandi Chastain, to coach and mentor these promising high school players. Allstate will celebrate Andrew and the other selected All-Americans by sharing player highlights, unscripted moments and inside stories through the new @AllstateCup handles on social media throughout the year. Allstate hopes that these player and coach stories will inspire current and future generations of soccer players to give it their all on and off the field.